Students describe the Integrated Program in Humane Studies and how it has defined their time at Kenyon. Alex O’Flinn '03, who participated in IPHS, channeled his enthusiasm for film and storytelling into a career in film editing. Read more about Alex in the Alumni Bulletin. The Integrated Program in Humane Studies (IPHS) draws broadly from history, literary studies, political theory and philosophy. IPHS students design a T-shirt to honor senior faculty member Professor of Humanities Tim Shutt. How does IPHS 113-114 work? If you are an incoming student, take a look at our FAQs. The Integrated Program in Humane Studies (IPHS), founded in 1975, is the oldest of Kenyon's interdisciplinary programs. We offer an integrative study of art and architecture, literature and philosophy, and film and drama in their social and historical contexts. Our courses move between scientific, economic, political, and ethical developments and the ideas that stem from them. The curriculum aims to illuminate the many connections between disciplines as we examine particular movements and technologies and their broader dissemination in an increasingly globalized world. 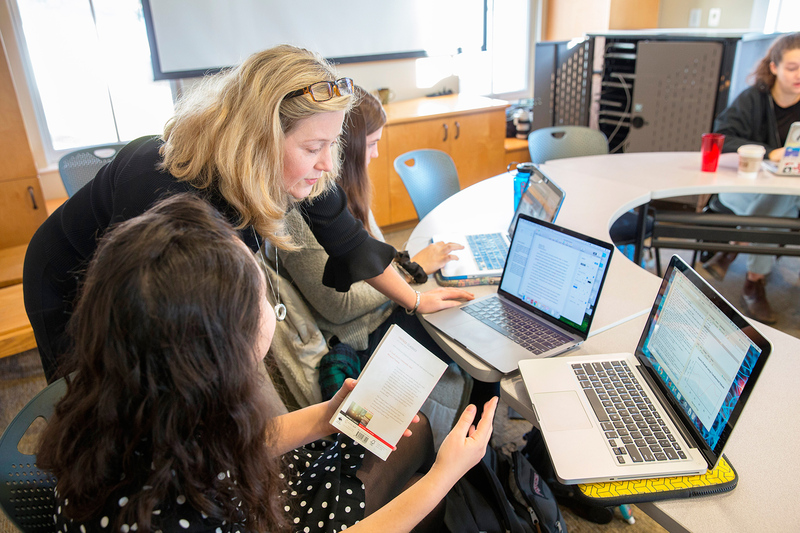 IPHS students develop an understanding of how we, as an ever-changing and ever-challenged culture, have arrived at the point at which we find ourselves — and where we might best go next. From the ancient classical world to our current digital environment, our faculty challenge students to consider how they think about the world and what they can offer after Kenyon. IPHS students have the opportunity to experiment with an array of expressive media, including essays, films, multimedia presentations, graphic arts, plays, and even computational approaches to text, image and sound. These approaches enable students to develop their abilities in written communication, oral communication, critical thinking, computer programming, design and composition. Professor Shutt with Jessie Alperin '18, the IPHS shirt's designer.